Head into the beautiful surroundings of Hawarden Castle’s Drawing Room on the morning of Saturday 14th September to listen to talks and interviews, hosted by friend of TGLE Blanche Girouard, on how to HAVE a Good Life Experience. Josh is going to tell us how, and why, to STOP WORKING! Josh Cohen is a psychoanalyst in private practice and Professor of Modern Literary Theory at Goldsmiths University of London. He is the author of numerous books, has written for Guardian, New Statesman and TLS, and appeared on BBC Radio 4. His latest book, inspired by treating patients with burn out and other work-related conditions, is ‘Not Working: Why we have to Stop’. Charlie is one of TGLE’s great founders, and will tell us how to GET ON WITH PEOPLE! As the founder of over 20 companies including Hawarden Estate Farm Shop, Pedlars, Glen Dye Cabins & Cottages (and many more) no one has, or needs, this skill more than Charlie! In this talk, he’ll share his tips and relay his experience of how to get on with people and the difference it makes to both life and business. I’ll be talking to Nina Grunfeld about how to GET WHAT WE WANT OUT OF LIFE! Having spent years feeling under-confident and not good enough, Nina abandoned a successful career in graphic design, trained as a life coach and founded ‘LifeClubs’ - small groups in which people can find out what they want in life and work out how to make it happen. Today she runs clubs, with a team, all around the UK and various parts of the world, writes self-development books and contributes to newspapers and magazines. I’m going to find out about her own life story, learn about life coaching and get her to give the audience some practice exercises. PLUS, she’s going to bring two other LifeClub hosts and run some ticketed breakout sessions in the afternoon! Blanche Girouard is a writer and interviewer currently living and working in London. She discovered her love for interviewing when assisting Professor Paul Thompson in a project interviewing fishermen in Essex. Her first solo project involved interviewing missionaries and their children in Burkina Faso. After that, she turned her attention to the traders of Portobello Market and wrote her first book, Portobello Voices. 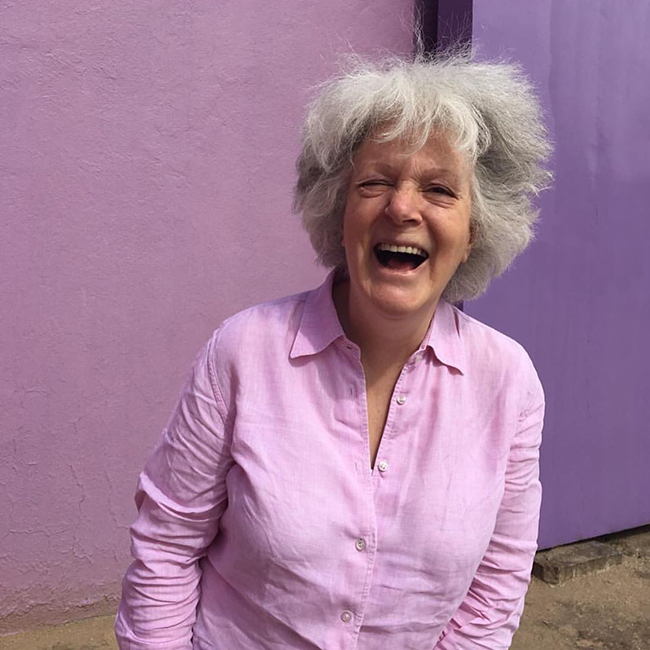 Since then, Blanche has interviewed all manner of people: cleaners; Catholic priests; authors; artists; homeless men and women; haemophiliacs infected with HIV; women accused of witchcraft; sociologists; women over 70; food bank clients and more. Her interviews have appeared in articles (The Times, The Financial Times, The Observer, The Tablet, The Oldie), been aired on radio (BBC World Service, Radio 4, Resonance RM, American NPR) and been heard, live, by audiences at literary festivals. She was nominated for an award in the ‘Best New Voice’ category of the UK Audio Awards 2018.